Cubanacán International Trade and Tourism Corporation S.A. is an entrepreneurial group. It was incorporated on August 5, 1987 and is made up by 15 companies registered in Cuba. It employs more than 30 000 workers in the hotel and services sectors and has more than 55 hotels with approximately 12,500 rooms, scores of restaurants and cafeterias, 2 international marinas, 20 diving centers, 41 beach clubs, 9 fishing stations, health tourism facilities, a travel agency and a transport company. It is also a partner in 23 joint ventures, of which 21 are hotels. With the inauguration of the Sol Palmeras hotel in Varadero (1990), it became the first Cuban tourist organization to enter operation and commercialization contracts with international hotels groups. 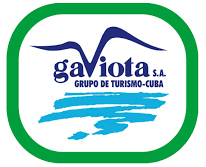 Gaviota Tourist Group S.A. was incorporated in May 1990. At present it has more 7 000 rooms distributed among 30 hotels that cater to the international tourism sector with 100% Cuban capital. It also operates two international marinas, the only underwater park in Cuba, restaurants, cafeterias, recreation centers, a tourist agency and a transport company among others. 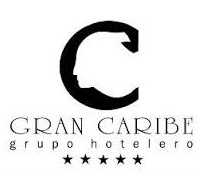 Gran Caribe Hotel Group was incorporated as a joint stock company on August 1, 1994. Its patrimony currently includes 48 facilities with more than 11 000 rooms in operation mostly in 4 and 5-star hotels. Its also operates a tourist agency and three facilities of international renown: the Tropicana Cabaret, El Floridita restaurant-bar and La Bodeguita del Medio restaurant, whose brand name has been extended by means of a franchise to dozens of facilities both in Europe and in the Americas. Islazul is a hotel chain dedicated to promoting, selling and renting rooms all over the island, and constitutes the country’s main hotel network. Islazul Hotels offer a unique product to make you feel truly at home. Hotel facilities and other accommodation on the beach, in the city and surrounded by nature, especially designed to please the most discerning tastes, with personalised service, guaranteed quality and an affinity with Cuban culture and characteristics, are the key features offered by Islazul.